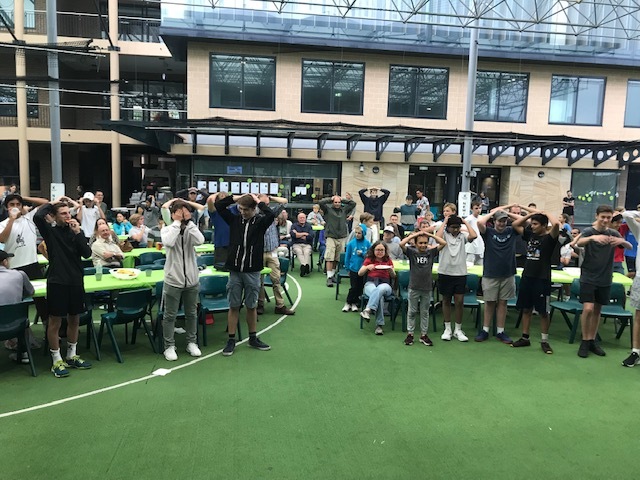 Storms threatened on Saturday 16 March but nothing stopped 160 intrepid Newington tennis players, coaches, team mangers and family members from attending the End of Season Tennis Celebration in the Space Frame. The boys threw themselves into table tennis, hoop shooting, and mini-tennis. 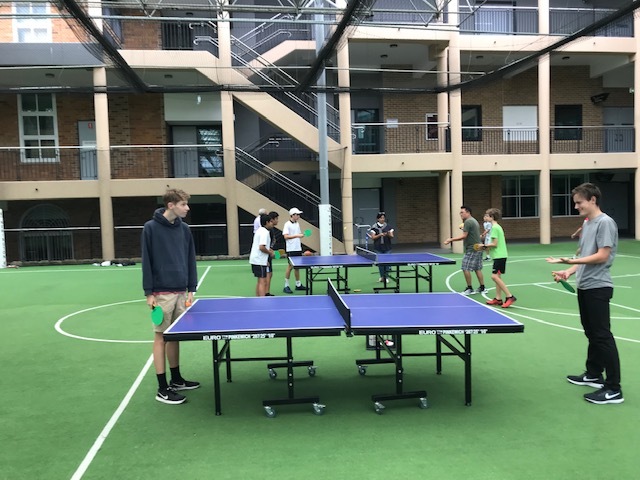 Daniel Nailand (12/LE) won 1st prize and Will Stewart (11/ME) 2nd prize in the fastest serve game, blowing the competition away (199km and 158km speeds respectively). Alex Palmer (10/MA) and Wil Linke (8/FL) dominated the mini tennis winning 1st and 2nd prize respectively. Fortunately, there were pizzas (savoury and sweet) to feed the hungry competitors afterwards! 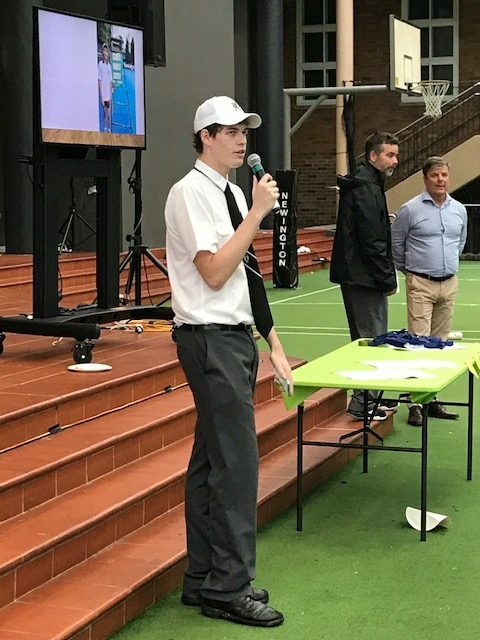 Daniel Nailand, Captain of Tennis (GPS 1sts) gave a wonderful, heartfelt speech reflecting on his Newington tennis experience. 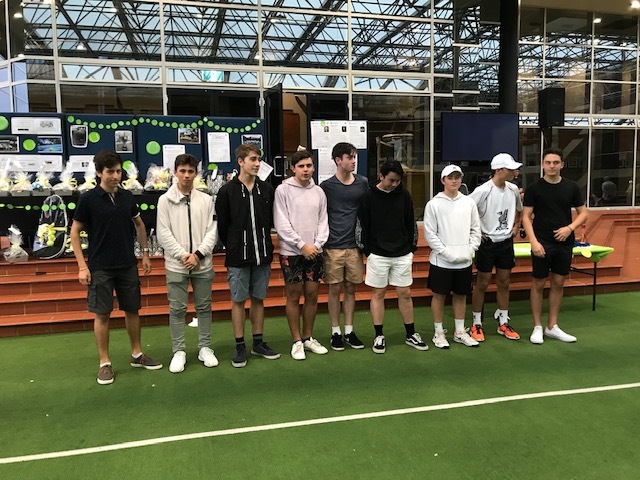 Mr Mark Dickens, Head of Sport, thanked and farewelled the Year 12 tennis boys and awarded the Most Valuable Player awards with Mr Chris Steel, Director of Tennis. 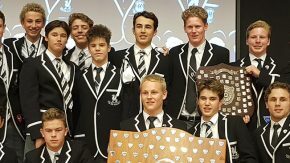 Well done to all the boys. 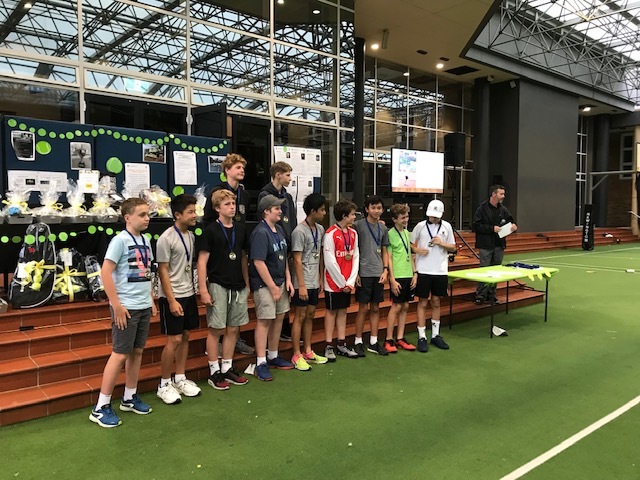 Mr Dickens and Mr Steel acknowledged our fantastic Newington tennis coaches and team managers, for the support and guidance they provide to the boys, and thanked the parent volunteers in the Tennis Support Group, who put on the event, supported by the Department of Community & Development. 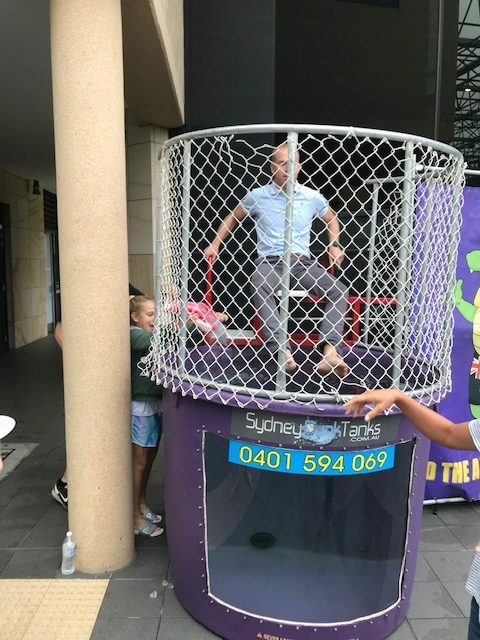 On behalf of the Newington Tennis Community, thank you to everyone who attended, generously donated game and raffle prizes or supported the event.